Steph Wong has been in the industry for nearly a decade with many tips and tricks. This blog will consist of insider detail about her work, tips and tricks, and anything that can inspire! Jas' Bollywood & a bff for fun shoot! #1: TAKE YOUR TIME. PRACTICE PROPER ISOLATION! Take your time. Practice makes perfect! Practicing proper isolation is what makes a beautiful set. 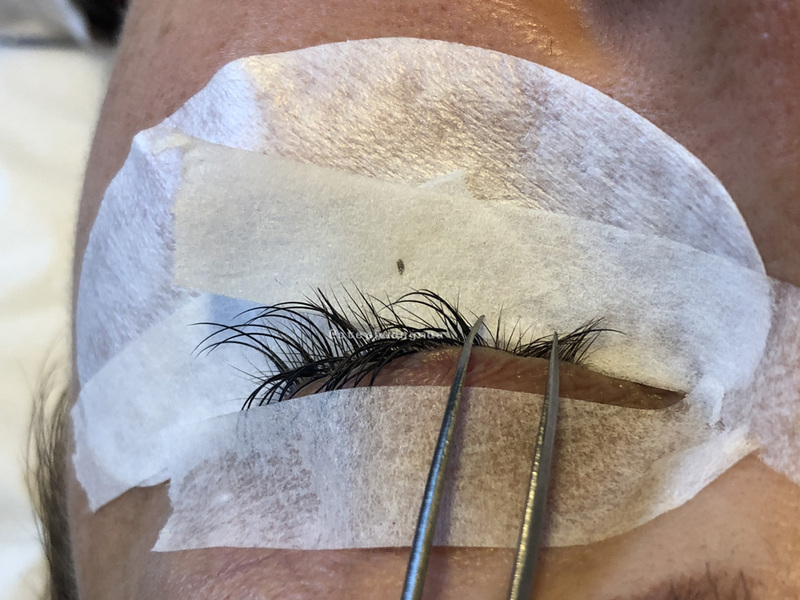 You do not want to disrupt the natural lash growth by clumping them together! Having the best tools plays a huge part in your success! Seek out all the best options, and what works for you. If you seek out the expensive tools, but prefer the inexpensive ones, that's okay too! Just make sure your tools are not bent! As long as you have a solid grasp, it should not be difficult to isolate properly. Always research what products people love, read the reviews, and invest in the tools that work for you. It's also important to work with tools that match your experience. If you need more practice with isolation, use an adhesive that doesn't dry immediately. #3: Be professional. CHARGE WHEN YOU ARE CONFIDENT. Never stop learning. Keep doing your research if you must. But practice until you are ready! You do not have to charge your clients if you aren't ready. Practice on live models. Ask your friends, family, whoever is willing to let you practice. If you need more help or guidance, speak up to your trainer! Find a technique that works for YOU. Everyone works differently, so a technique that works for another lash artist, may not work for you. Stay tuned for next's month's blog! Drop a comment below if there's anything you recommend, or want to see in my blog series.